-- all at our annual "Inspiration Works" event on Tuesday April 10 at the SS Civic Center at 1 Veterans Plaza. Come at 7 pm to visit displays about our work in stormwater, invasive plants, water quality, natural history, and other areas. 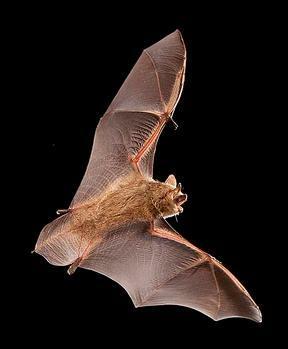 From 7:30-8:30, hear Nina Fascione, former director of Bat Conservation International, discuss the threats to bats and efforts to improve bat habitats. From 8:30-9pm, you'll have a final chance to check out our displays, mingle with your neighbors while enjoying refreshments. Nina is currently vice president for development at Defenders of Wildlife, where she previously served as vice president for field conservation programs. 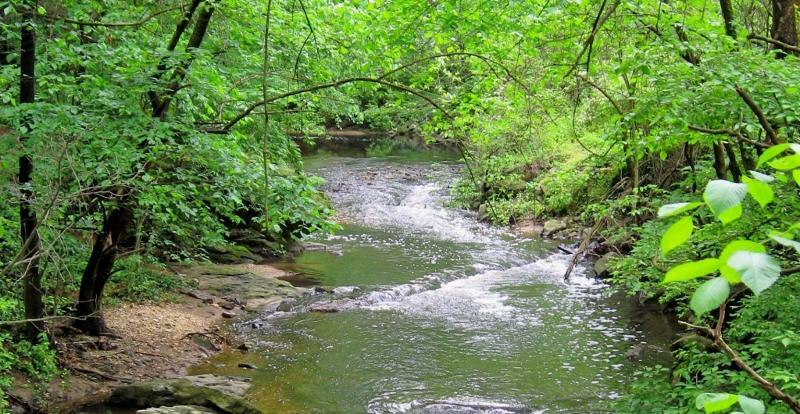 The Sligo Creek watershed is home to about eight species of bats, although no formal survey has been conducted. Check our website's bat list to see which species are likely to live here. Venue Info: 7-9pm at the Silver Spring Civic Center at 1 Veterans Plaza (across from the Majestic Movie Theater). For more information on this event, contact stormwater@fosc.org. Our annual spring litter cleanup, Sweep the Creek, takes place on Saturday, April 21, from 9 to 11 am, and Sunday, April 22, from 1 to 3 pm. On Saturday, groups will focus on the areas between Maple Avenue and Piney Branch Road, Wayne Avenue to Forest Glen Road, Dennis Avenue and University Boulevard, and along Wheaton Branch and Long Branch. On Sunday, groups will remove litter from the powerline to Maple Avenue, Long Branch Village, Piney Branch Road to Wayne Avenue, Forest Glen Road to Dennis Avenue, and University Boulevard to Channing Drive. For a list and map of meeting places each day, visit our Sweep web page fosc.org/sweepthecreek. We welcome individuals, groups, families, and students, who can receive service-learning credit for their work (we provide the forms and signatures). 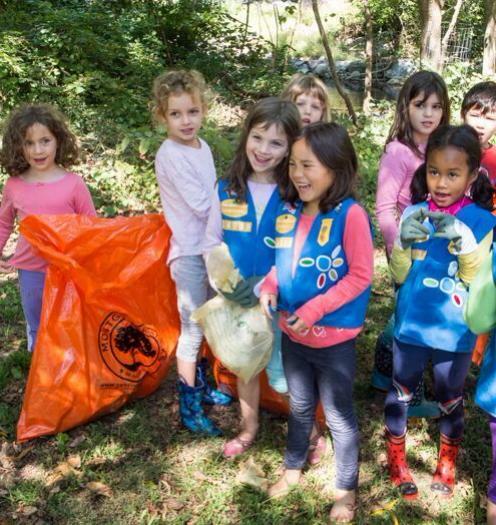 With help from Montgomery Parks, we provide gloves, bags, water, and guidance on what kind of help is most needed in each section (such as invasive plants along with litter removal). All you need to bring is your community spirit and a willingness to get a little wet and dirty! If you are bringing a group or have questions, please contact the Sweep Coordinator ahead of time at litter@fosc.org. Everyone is advised to wear long-sleeved shirts, long pants, socks, and shoes to avoid contact with poison ivy and barbed plants such as greenbrier. We look forward to sharing the honor of stewardship with you during this spring's Sweep the Creek, and we thank you in advance for your partnership in this wonderful community effort. For further information, contact our Sweep coordinator at litter@fosc.org. 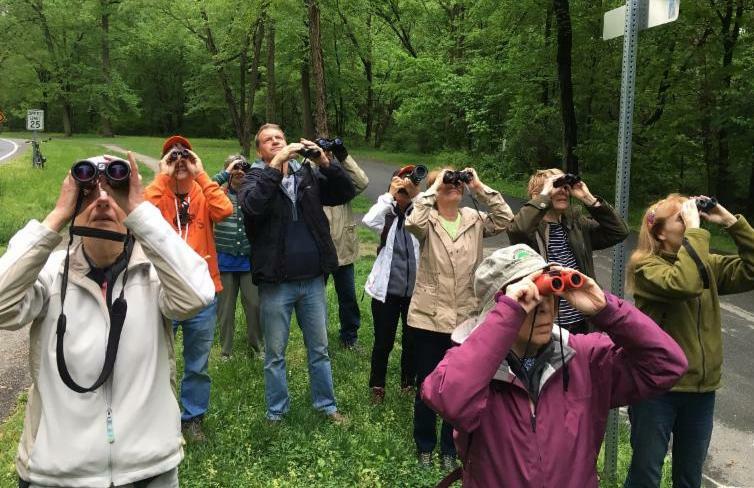 Join Sligo ornithologist David Blockstein and local birder Mary Singer to look for spring birds on Saturday, May 5, from 8 to 10 am. Meet in the parking lot near the intersection of Sligo Creek Parkway and Dallas Avenue. The outing will go forward in a sprinkle but will be cancelled in case of steady rain. We'll be on the lookout for birds that recently arrived to nest in Sligo after spending the winter further south. 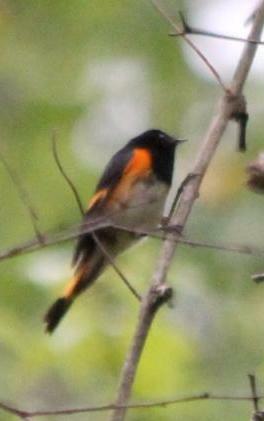 These include Wood Duck, Yellow-crowned Night-Heron, Black-crowned Night-Heron, Barn Swallow, Chimney Swift, Eastern Phoebe, Wood Thrush, Blue-gray Gnatcatcher, Eastern Towhee, Red-winged Blackbird, and American Redstart, as well as migrants passing through on their way to nesting sites further north. David Blockstein is a Sligo resident and a long-time FOSC member. He is senior scientist and director of education at the National Council for Science and the Environment. Mary Singer has lived in the Sligo watershed for eleven years and is a member of the Maryland Ornithological Society. She started birding in the American South and has since taken birding trips to the West Coast, Africa, and Central and South America. For further information, contact Ross Campbell. �Primera Vez! 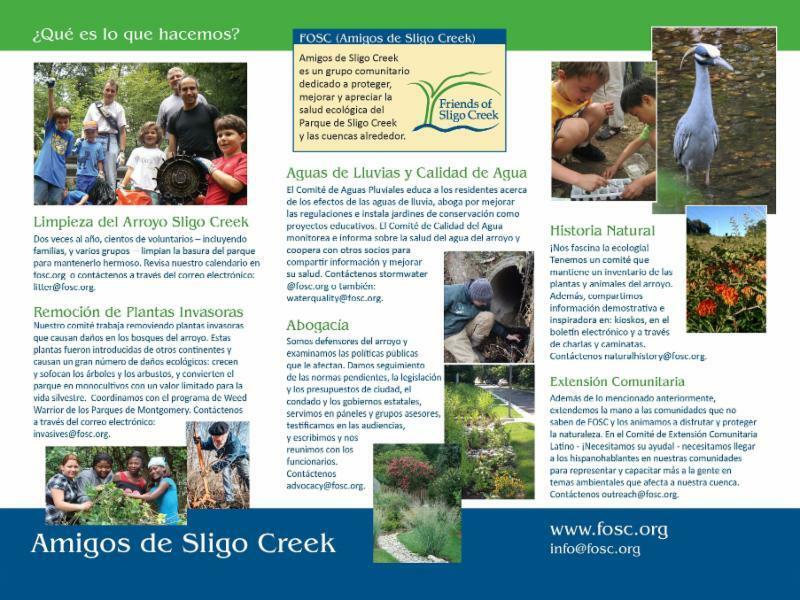 Hay un Folleto en Espa�ol para Amigos de Sligo Creek. Ustedes pueden obtenerlo en los kioscos en en parque. D�les copias a sus amigos. About a third of Maryland's 450 native bee species are called "specialist" pollinators. They collect nutritious pollen for their young from a restricted group of plants, usually a genus such as goldenrods, willows, or blueberries. The majority are known as "generalists" because they collect pollen from a broad range of flower species in their foraging range. 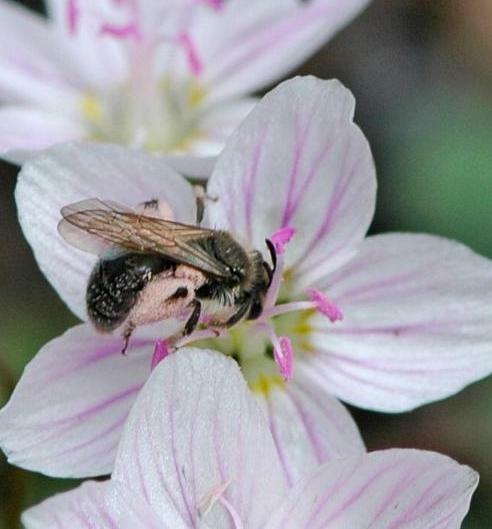 One of the few specialist bees in Sligo is a mining bee (Andrena erigeniae) devoted entirely to Spring Beauty (Claytonia virginica), whose tiny white and pink flowers bloom low to the ground along the length of Sligo Creek Park from mid-March to mid-April. 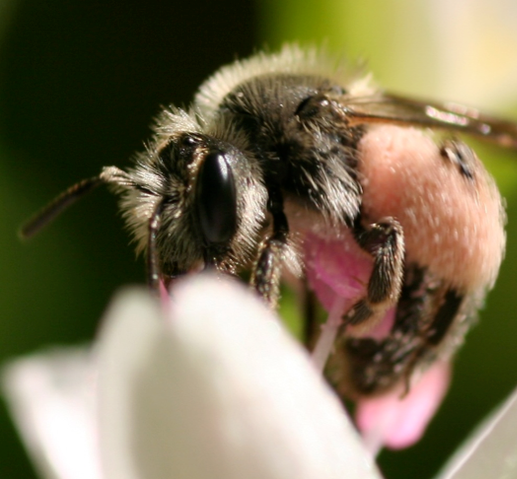 The female of this bee pulls pink pollen from a flower's anthers using its four front legs. More pollen grains are drawn to electrostatically charged hairs all over her body. She also takes a bit of nectar from the base of each flower to mix with the pollen as a cement. While flying to the next flower, she pushes all the pollen caught in her body hairs into tight packages along her two hind legs. When each collecting run is over, she transports the pollen bundles to an underground, solitary nest where they serve as protein-rich food for her eggs. To gather enough pollen to nourish a single egg (after it hatches) requires her to visit dozens or even hundreds of flowers. These specialist bees must time their flower visits to match the brief period when pollen is ready for collecting. This takes place only on the first day of flowering, when the stamens break free from the pistil (central female structure) and the anthers open, revealing their pollen. To access any blossom's full offering of pollen, bees must visit several times, as the flower opens its anthers in a gradual sequence over several hours. On the second day, anthers close and the female pistil spreads its three stigmas for a few days (as in the photo at left). Males of this bee also visit Spring Beauty flowers but just to feed on nectar; they have much less hair and so carry pollen only incidentally. Other insects visit, but only this bee dedicates itse mining lf exclusively to this delicate and inspiring signal of spring. For a recent listing of the 142 known specialist bees in the Mid-Atlantic (and what plant groups they feed on), see this new online publication by Jarrod Fowler and Sam Droege. A new book rich in detail is The Bees in Your Backyard: A Guide to North American Bees (Princeton 2016). 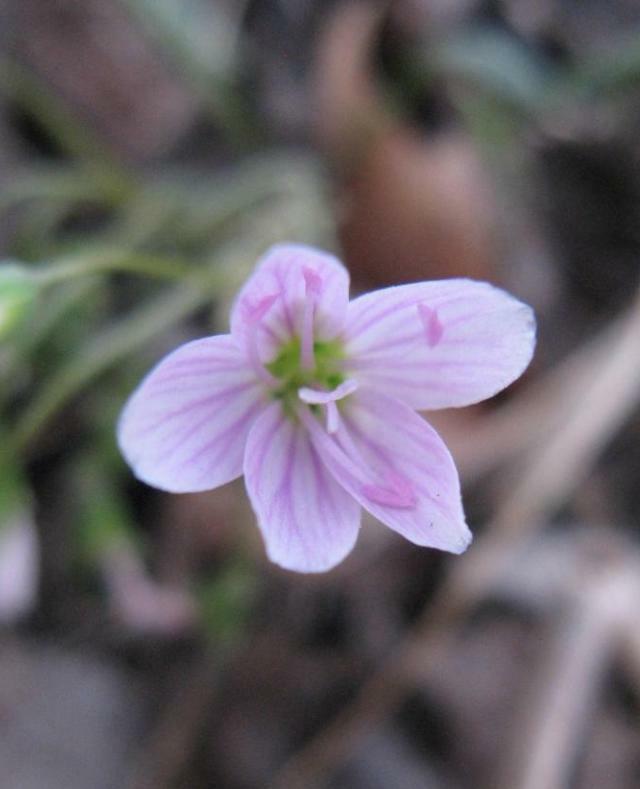 Thanks to ecologist Alison Parker for her guidance toward research on Spring Beauty pollination and plant-insect mutualisms, including her own work, which she carried out in PA, MD, and NC while with the Univ. of Toronto. She is currently a fellow at the EPA in Washington, DC. See also James Thomson, "When Is It Mutualism?" American Naturalist (2003), and a review article by Anna Hargreaves et al. on the ecological and evolutionary consequences of "pollen theft" in Biological Reviews (2009).